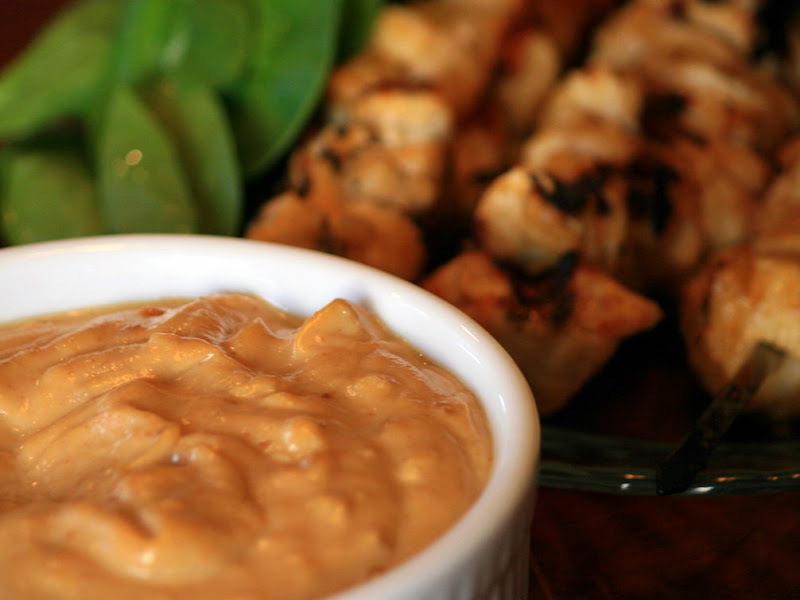 A perfect appetizer dipping sauce for simply roasted skewers of meat or seafood. Combine peanut butter, soy sauce, lime juice, coconut milk, crushed red pepper, and sesame oil in a small pot over medium low heat, until peanut butter melts and combines into a thick sauce. Whisk in ¼ cup of water, a little at a time to bring to a smooth sauce consistency. Simmer for ten minutes to blend flavors. Season with salt and pepper. Pan saute or broil skewers cubes of tofu, chicken, or shrimp that are brushed with peanut oil, until lightly browned; serve with small dish of sauce for dipping. This entry was posted in Bariatric Recipes, Sauces & Salsa and tagged Dressings, Dressings, Sauces & Salsas.